The Nokia Theatre in Los Angeles dressed up. 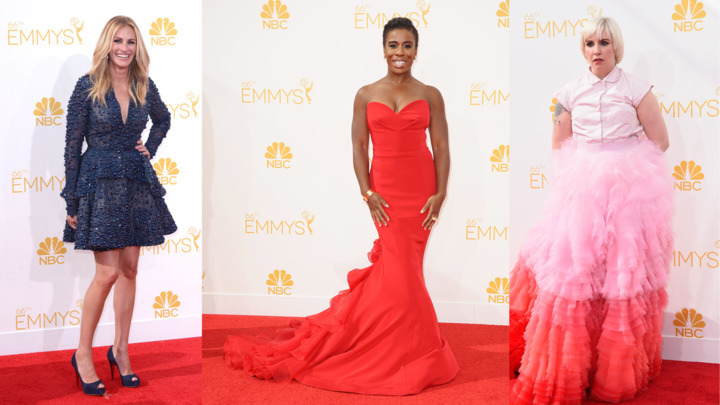 We show the different looks of the celebrities on the red carpet of the Emmy Awards. The Nokia Theatre in Los Angeles dressed up to receive the best of world cinema to television to mark the 66th edition of the Emmy Awards. Different looks, some more successful than others, paraded through the first event of the season. There were dresses of different cuts and styles. Color The protagonist was, without doubt, the colorado that mimicked the red carpet. Predominated resources such as cut out the strapless, embroidery and lace, top crops, and large flared skirts. Hairstyles were also highlighted: Raya to medium light, elegant waves picked up, and with two braids on the sides and bangs. Here, all the details.